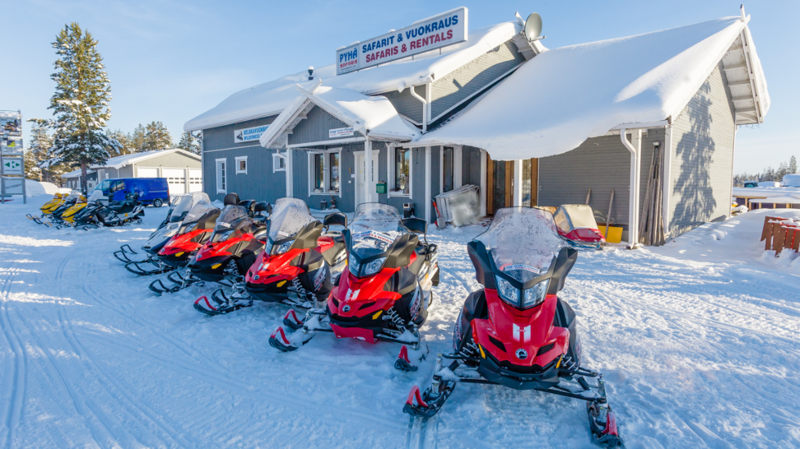 We are premium adventure, snowmobile rental and safari provider with long history in the tourism- and snowmobile business going back as far as to 1970s. Our staff is well trained and certified to serve you and your company. it is absolutely our privilege to make your trip unforgettable. we don’t just do our job, we also enjoy doing it as much as you will enjoy being part of it. ~ if you have more questions you can always e-mail, call or visit us. Business history: Our roots in entrepreneurship go way back, as matter of fact we are at least 3rd or who knows how many generations of entrepreneurs. Our immediate family has owned gas stations, restaurants, car dealer ships, camping area, race teams, etc.. Mother Sinikka is actually the force behind this business, she pretty much takes care most of the rental and safari business. Sinikka has always loved outdoors, since she was the finnish slalom champ in early 70:ties. The oldest son Toni Haikonen has driven and raced snowmobiles and motorcycles since childhood, He raced for total of 20 years. 12 years in Europe and 8 years in USA. Toni won ESPN X Games, European, Finnish, USA Championships in snowmobile snowcross. Younger brothers Timo and Tommi are very active outdoors also, they like snowmobiling, snow boarding, etc… We are very happy to have experience in snowmobiles and tourists. We believe its the most rewarding, when we can make people happy and relaxed with our service knowing that everybody is also safe.